Liquefied Petroleum Gas (LPG) is a flammable gas used in compressed gas cylinders or pressurised tanks, providing both outdoor and indoor usage, for personal, commercial or industrial settings. LPG cylinders are designed for a variety of uses, including grilling, camping, boating, tailgating and forklift operations. Regarding their indoor usage, they are mainly used for cooking and heating. The key components of an indoor cylinder or appliance system are: the inner container, valve and connections, a regulator, hoses and the appliance. LPG cylinders are portable and refillable containers of an approved design for holding LPG under pressure and are most used indoor for heating or cooking. Generally in Europe domestic indoor use cylinders are 9 kg. The valve releases LPG from the cylinder when open and provides a leak free seal when closed. The regulator is normally connected directly to the cylinder valve and maintains the gas pressure recommended for the appliance. According to a guide released by UKLPG Association, the main issue regarding the indoor usage of LPG cylinders concerns their storage. It would be essential to store the cylinder in a flat and level storage area at or above ground level, in a well ventilated position and in an upright position with the valve uppermost and secured so the cylinder will not tip over (this can leak liquid LPG). At the same time, a well ventilated area is the ideal place for changing the cylinder safely. As suggested by the same guide, your cylinder must not be stored in areas with low unventilated cavities where any gas leak would accumulate and form a combustible mixture with air. Furthermore, it suggests to avoid any source of heat, source of ignition, or quantities of combustible or ignitable material or near to any corrosive, toxic or oxidant materials. These recommendations are important to prevent any risk of damage or corrosion of the cylinder, but mainly to not expose ourselves to any risk which might compromise our physical safety. There are limits on how much LPG can be stored indoors. In a location as a detached house or single-storey attached dwellings and multi-storey attached dwellings up to 3 storeys, the maximum quantity of LPG should be 20kg per dwelling. While in locations as hotels, bars, restaurants, public buildings, places of worship, shops, offices and laboratories that are not attached to a dwelling, the maximum quantity of LPG is 10kg per 10 sq. m. of the indoor floor area (up to a maximum total quantity of 100 kg), the same places that are instead attached to a dwelling provide a maximum quantity of 20kg per premises. For factories and warehouses, the maximum quantity of LPG is 45 kg per 50 sq. m. of the indoor floor area (up to a maximum total quantity of 180 kg per occupancy). In all these locations, the maximum size of cylinder provided is 10kg, apart from the last one that is around 45kg per cylinder. Taking home your LPG cylinder? “The Carriage of Dangerous Goods and Use of Transportable Pressure Equipment Regulations regulates the transport of dangerous goods in the UK and implements the European Agreement Concerning the International Carriage of Dangerous Goods by Road (ADR)”. The ADR regulations are intended to protect everyone who is either directly involved, or who might become involved in the carriage of dangerous goods by road. 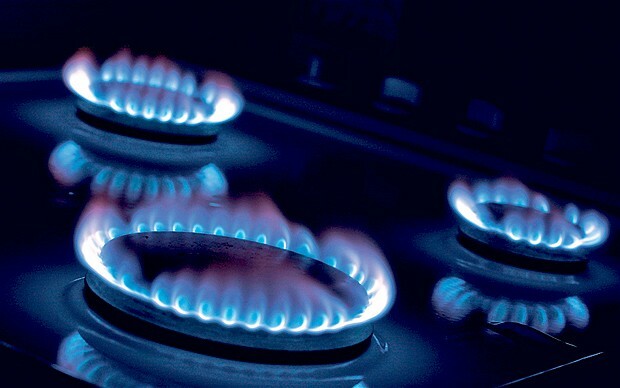 Gases are classified as Class 2 dangerous goods. Despite carrying gas cylinders on a vehicle for personal use is exempt from ADR, before carrying home your LPG cylinder, it is absolutely necessary to make sure of the leak test and secure the cylinder upright in a proprietary cylinder stand or plastic crate that holds the cylinder firmly and place the cylinder in the boot. It is essential to remind the maximum quantity provided is only one 9 kg cylinder at a time and to not carry the cylinder around in the car more than absolutely necessary. Make sure your cylinder is securely stowed, preferably in the luggage area. Ideally gases should be transported in an open vehicle. If this is not possible, make sure you have good ventilation to maintain a healthy environment inside the vehicle. Never let anybody smoke in a vehicle when carrying gas cylinders. It is mandatory to carry a fire extinguisher. A 2 kg dry powder extinguisher is the minimum requirement. It is the driver’s responsibility to ensure their vehicle is safe. The driver does not need to carry any special documents to transport small quantities of gas cylinders. However, it is useful to have the right information to assist the emergency services in the event of an incident. Make sure you have informed your insurance company that you are carrying gas cylinders on the vehicle. At ‘swap-a-bottle’ facilities make sure the valves has a security seal. Check there are no leaks and in case you need it disconnect and remove any ancillary equipment. Moreover, make sure the facilities has an approved filler qualification. All LPG cylinders need to be tested between five, seven or ten years depending on the market. According to the UK standards, composite LPG cylinder is a new product that requires retesting for the safety of the product. Indeed, steel cylinders have been in circulation for a longer period in the market, but on the positive results of the testing, it is reasonably to believe the retesting in composites will be increased to ten years as it is happening in Norway. The LPG industry’s paramount concern regards safety and Aburi Composite LPG cylinders answer to this necessity by reaching high quality and safety standards. They are non-corrosive, which means they are adaptable to every conditions’ weather and non-explosive. As result of the fire testing, the helically woven fibre allows the cylinder to resist fire for three minutes before any gas is emitted from the cylinder. After three minutes the cylinder will burn, but remains non-explosive. Apart from the advantages related to their light in weight and the chance to customise your cylinder, with its HDPE lining you can see the gas level and its anti-permeability prevents the cylinder from any kind of damage or corrosion. In addition to that, they are UV resistant, 100% recyclable and keep low maintenance and logistical costs, representing a headway in this industry by accomplishing the clients and consumers expectations. Aburi Composites is a trading name of Aburi Limited, part of Aburi Group. Copyright © Aburi Ltd 2015. All Rights Reserved.